Youth, Crime and Justice takes a critical issues approach to analyzing the current debates and issues in juvenile delinquency. It encourages readers to adopt an analytical understanding encompassing not only juvenile crime, but also the broader context within which the conditions of juvenile criminality occur. Students are invited to explore the connections between social, political, economic and cultural conditions and juvenile crime. It clearly examines all the important comparative and transnational research studies for each topic. Throughout, appropriate qualitative studies are used to provide context and explain the theories in practice, conveying a powerful sense of the experience of juvenile justice. This accessible and innovative textbook will be an indispensable resource for senior undergraduates and postgraduates in criminology, criminal justice and sociology. 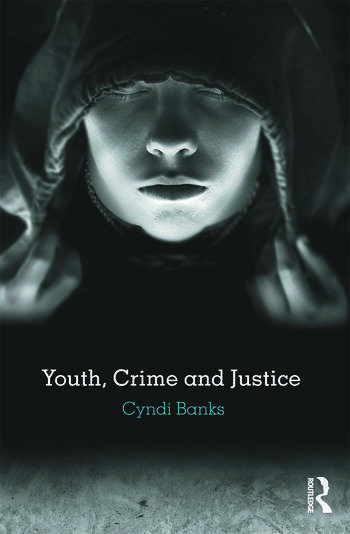 Cyndi Banks is Professor of Criminology and Criminal Justice at the Northern Arizona University. Her recent publications include Criminal Justice Ethics: Theory and Practice (Sage, 2012), Alaska Native Juveniles in Detention (Mellen Press 2009), Punishment in America: A Reference Handbook (ABC-CLIO, 2005), and Developing Cultural Criminology: Theory and Practice in Papua New Guinea (University of Sydney, 2000).